Up until the 19th century there was only one form of Judaism – Orthodox Judaism. Certainly there were Jewish people who were atheists and those who claimed to be agnostics. But if one wanted to practice the religion of Judaism it came in only one form – Orthodox. Orthodox Judaism, though, has a number of branches – from the very religious ultra-orthodox to what is referred to as “modern” orthodox. Reform Judaism was birthed in the 19th century in Germany in reaction to the strictness of the Judaism of the day. In the middle to late 19th century the movement came to the U.S. and took root here and became the center of Reform Judaism. It is also know as liberal Judaism and progressive Judaism. The key phrases in this statement are “an ever-evolving Torah and tradition” and “seeks to be the living expression of those teachings.” These two phrases identify what Reform Judaism is all about. First, there is no absolute authority, such as the Bible, because things always evolve. Second, Reform Judaism is characterized by a “good works” emphasis, although without an objective standard such as the Bible for defining good and evil, “good works” is a highly subjective term. A convention of reform rabbis and adherents met in Pittsburgh, PA in 1885 and produced the first official document of the movement defining Reform Judaism. The Pittsburgh Platform of 18853 had eight points describing this new movement in Judaism. The myjewishlearning.com website comments, “Many of the principles outlined in it were revised – and generally softened – by the leaders of the Reform movement in later documents such as the Columbus Platform (1937), the Centenary Perspective (1976), and the New Pittsburgh Platform (1999).” The fact remains that Reform Judaism is very liberal in its thinking and practice. Pew Research Center’s landmark 2013 survey of US Jewry tells us this about Reform Judaism in the U.S.
Only 4 percent of Reform Jews say they attend religious services at least weekly, compared to 11 percent of American Jews overall. About 29 percent of Reform Jews say they believe in God with absolute certainty, compared to 41 percent of Conservatives and 89 percent of Orthodox. Every year, at least 800-900 people undergo Reform conversions to Judaism, according to the movement’s records, and some 9 percent of all Reform Jews were raised as non-Jews. Half of all married Reform Jews have non-Jewish spouses, and 80 percent of those who married between 2000 and 2013 wed non-Jewish spouses. About one in three American Jews identify as Reform, the movement being America’s largest Jewish religious denomination. Today, about half of newly ordained rabbis are women. Once one understands the history of Reform Judaism it is not difficult to grasp their beliefs in a number of areas. Following are some of the beliefs of Reform Judaism that would be of interest to the Bible believing Christian. God – They believe in God but not the God revealed in the Scriptures. Scripture – The scripture (Bible) is an inspiring book but not inspired by God. Reform Judaism differs from the other major movements in that it views the Scripture as a product of human hands.6 This would include the oral law as well as the Bible. For a practitioner of Reform Judaism the Bible is not the inspired, inerrant word of God, although, theoretically, one could believe the Scripture or the Torah (5 books of Moses) are from God, and be in Reform Judaism. Heaven and Hell – These eternal destinies are denied by Reform Judaism. Salvation – As with all forms of Judaism, salvation is earned by one’s good works. Some people look at these teachings and deduce that Jews try to “earn our way into Heaven” by performing the mitzvot. This is a gross mischaracterization of our religion. It is important to remember that unlike some religions, Judaism is not focused on the question of how to get into heaven. Judaism is focused on life and how to live it. Non-Jews frequently ask me, “do you really think you’re going to go to Hell if you don’t do such-and-such?” It always catches me a bit off balance, because the question of where I am going after death simply doesn’t enter into the equation when I think about the mitzvot. We perform the mitzvot because it is our privilege and our sacred obligation to do so. We perform them out of a sense of love and duty, not out of a desire to get something in return. There are a number of things we can learn from understanding Reform Judaism. Since the vast majority of Jewish people in the U.S. embrace the tenets of Reform Judaism, even if they are not a member of a Reform synagogue, it is vital to understand, at least in a small way, the teaching and beliefs of Reform Judaism. The Jewish emphasis on learning (cf. Deut. 6:4-7) historically has centered on God and His commandments. The birth of Reform Judaism in the early 19th century rejected most of the tenets of Orthodox belief, but still held education as an extremely high virtue. So, over the last couple of hundred years Reform Jews have been “religiously” motivated to have their children get a good education. One older study showed the “ratio of Jewish students to their population… estimated that 62 of every 100 ‘college age’ Jewish persons in North America were matriculating at institutions of higher learning, compared with the non-Jewish ratio of 27 out of 100.” Overwhelmingly colleges and universities have become bastions of liberal thought. As someone has said, “garbage in, garbage out.” The reason most Jewish people hold liberal values is that they have left religious teaching and embraced the secularism of the universities they graduated from. 2. 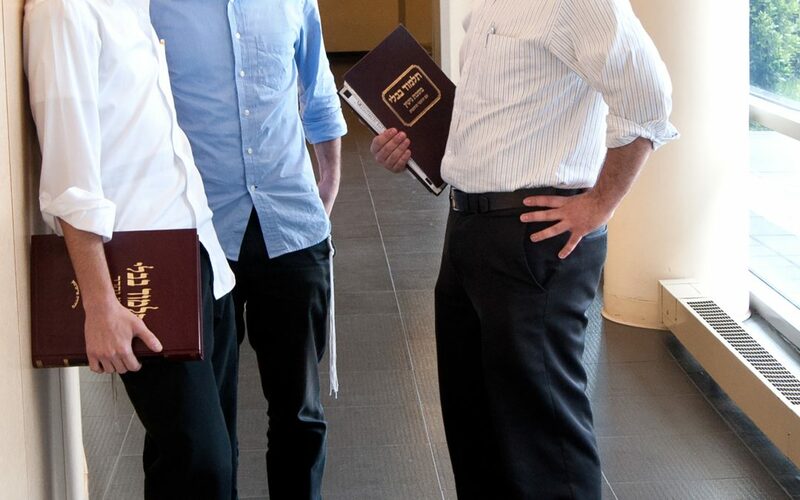 The denial (oftentimes) of a personal God, the inerrancy of scripture, a personal Messiah from the Davidic line, and other basic biblical truths make it imperative that the area of apologetics be used in sharing the gospel with Jewish people. Many Jewish people have ben saved as a result of learning about the prophecies about Israel and then the prophecies about the Messiah. 4. The desire to relate to their Jewishness in some way requires Bible believers to repeatedly state that believing in Jesus is very “Jewish.” Jesus was born in Israel, had a Jewish mother, and was raised in a Jewish home. Beyond that, the Messiah was promised to come by the God of Israel, prophesied about by the Jewish prophets, and revealed in the Jewish Bible. Accepting Jesus as Messiah is actually a very Jewish thing. The best way to accomplish this is to show the prophecies from the Tenach (Old Testament) that speak of the Messiah – i.e. his birth in Bethlehem (Micah 5:2) and his life, death, burial and resurrection (Isaiah 53) are two excellent places to start. When you understand a little about the people you are sharing the gospel with, it is easier to focus your message to communicate more effectively with them. A study of the gospels shows that Jesus used different approaches with Pharisees, Sadducees and others because they had different beliefs. In our evangelism we should change our focus in the same type of way Jesus did to relate and communicate the gospel with a particular person.